GLENDALE, ARIZONA – Phoenix Coyotes General Manager Don Maloney announced today that the Coyotes have signed unrestricted free agent forward Boyd Gordon to a multi-year contract. As per club policy, terms of the deal were not disclosed. Boyd Gordon. Photo by Getty Images. In seven NHL seasons with the Washington Capitals, the 6-foot-1, 200-pound Gordon has played in 363 games, posting 27-58-85 and 82 penalty minutes. • Click here to listen to an interview with Gordon. Last season, the 27-year-old native of Unity, Saskatoon, appeared in 60 games with Washington recording 3-6-9 and 16 penalty minutes. Considered one of the top face-off men in the NHL, Gordon won 58 percent of his draws last season. 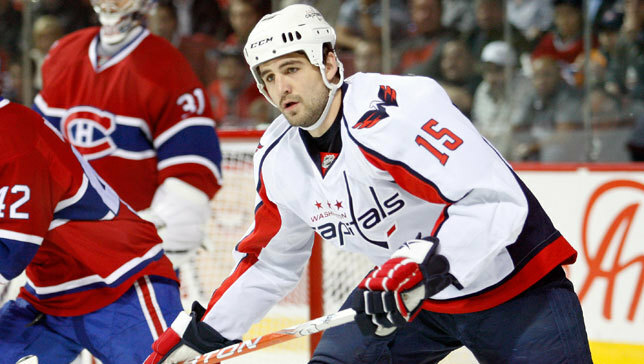 He also appeared in nine playoff games with the Capitals winning 69 percent of his draws in the postseason. Gordon established career highs in games (71), goals (7), assists (22), points (29) and plus/minus (+10) in his first full NHL season in 2006-07 with Washington. In 2005-06, he helped lead the Hershey Bears of the American Hockey League to the Calder Cup. Gordon posted 16-22-38 in 58 regular season games with Hershey and 3-5-8 in 21 postseason contests. Gordon was originally drafted by Washington in the first round (17th overall) in the 2002 NHL Entry Draft.